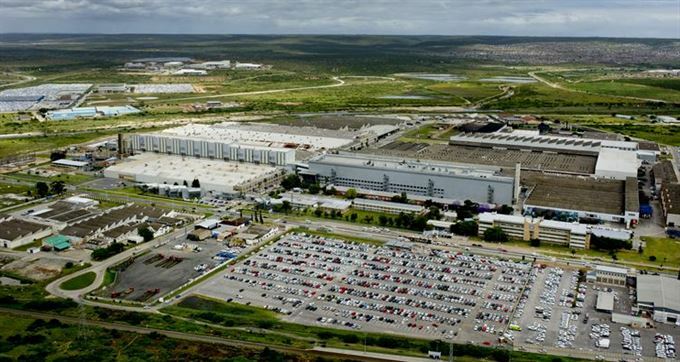 The Volkswagen Group South Africa (VWSA) plant in Uitenhage has been recognised as the top manufacturing plant in the global Volkswagen production network in 2015. VWSA achieved the highest index score of 113.2% amongst the 13 Volkswagen plants around the world - the first time that Uitenhage was rated as the top manufacturing plant since the Beetle production started in August 1951. The 13 global Volkswagen production plants are all measured on the same key performance indicators such as production volumes, production quality, costs per unit, units produced per employee, Health and Safety incidents and the factory’s improvements in reducing its carbon footprint. Key in VWSA achieving these results were the 120 000 Polos and Polo Vivos produced in 2015 at much better than budgeted cost levels. Another key contributing factor was exceeding the Think Blue Factory targets which were set in 2010 to reduce energy consumption, water usage, waste and emissions by 25%. By the end of 2015, VWSA had exceeded the target by 17.2% achieving 42.2%. Of the 120 000 cars produced in 2015, over 66 000 Polos were exported to predominantly right hand drive markets such as the United Kingdom, Australia, Japan and Ireland. In addition, 113 000 engines were also produced of which 81 000 were exported to markets such as India, China and Mexico. In South Africa, Volkswagen maintained its dominance of the passenger car market for the sixth consecutive year with Polo Vivo and Polo being the first and second best-selling passenger car models respectively. “This recognition could not have come at a better time for our company,” said Thomas Schaefer, Chairman and Managing Director of Volkswagen Group South Africa. “I am extremely proud of all the employees at Volkswagen Group South Africa, who have made this recognition by our parent company possible, and thank them for their hard work and contribution,” Schaefer said. Schaefer further added that Volkswagen Group South Africa will continue to strive to be the number one passenger car company in South Africa whilst meeting and exceeding its internal targets to remain a respected member of the Volkswagen production network as well as by delighting its customers.